entry level position. This is because insurance and banking deal greatly with one’s marketing skill. As a result, a hard-working insurance agent can earn five zero sum within a year. Achieving this success, however, comes at a price. The individual has to have a tough skin to be able to withstand the rejection and insult. This is especially true for life insurance agent especially in developing countries where life insurance agents are viewed as people who desire the death of people. Despite this, life insurance is the most lucrative of the other insurance industry. It is more lucrative than health insurance, auto insurance or fire insurance. As I mentioned earlier for you to be successful in insurance, you must be willing to accept rejection and embrace conflict. This is why insurance is best for people who are extroverted, people who can easily brush off rejection without their ego being bruised. They see rejection as a process, not a destination. For this reason, people who want to become insurance agents don’t need to have a breath-taking qualification. Another reason is because recruited agents are usually trained on the product to be sold. "Do you have an insurance policy to protect your car if something happens to it?" If the prospect tells you no and you immediately offer an affordable product. The prospect will likely tell you: "Let me think about it"
why? Because no one likes to be sold. But people like to buy something they think is their idea. So instead of offering you client a sale offer to solve their problem. Many people are not open to buying insurance because they do not where to find the money. If you can show them how to take smart management decision that will bring out the money -you are closer to closing a sale. Can you help them reduce the premium on existing insurance policy? Can you offer them a discount by putting two or more policies in a single company? Can you offer a lower offer in a quality insurance firm which is the best interest of the client? If you can answer yes to this question then you are on your way to closing out more sales. For phone conversation, follow the 3-second rule as soon as you make contact. People have short attention span, so making sure they are primed to listen to you is important to close a sale. To do this personalize your pitch as this helps differentiate you from other marketers. Network with people by joining high profiled association. Then offer great advice on salient issues. This way people are more likely to listen to you when you talk about insurance as they see you as someone who can be trusted. Before I explain to you how you can make money as an agent, I will first define the difference between an agent and a broker. is a person who works for the insurance policy buyer. An agent can only sell a policy when authorized by an insurance company. Before an agent can sell the policy an agreement called the appointed is entered into. The appointment describes the kind of product the agent is allowed to sell as well as the commission that accrues to the agent when he sells the product for the company. The contractual agreement usually states the degree and authority to which and agent can work for the company. In marketing a life insurance product, the agent should convince the client that the essence of the policy is to help protect their business, family, and employers against any financial loss that may occur if they eventually die. There are two classes of insurance agents based on working relationship. These are agents who sell insurance policies for more than one company. $30 per click and these insurance companies are willing to pay these amounts for customer acquisition because they know the lifetime value of getting a single customer is far higher than the cost. As I mentioned earlier, the broker works on behalf on an insurance buyer and not the insurer. Once they have a client willing to buy a policy, they must obtain a binder which is a legal document that acts as a temporary insurance policy. This document can binding for a short period of 30-60 days, and must have the signature of the insurer. After this duration of time, the binder is then replaced with a policy. These are insurance broker that communicate directly with policyholders. The agencies are small agencies and may not be able to offer specialized coverages for some policies. Retail brokers may need to contact wholesale brokers for specialized coverage. Wholesale brokers have retail brokers working for them. They offer specialized coverage which is not available to retail brokers. An example of such coverage is the product liability insurance and auto liability coverage. 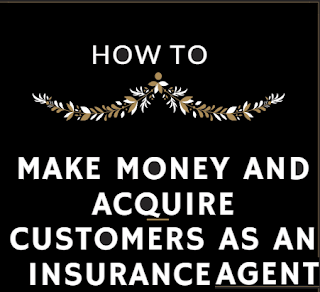 There are insurance companies that sell policies directly without the use of brokers or agents. These companies are called direct writers. They tend to focus on policy such as personal auto policies homeowners policies. If you want to get hired as an insurance agent, you need to highlight your strength. You should put things in your CV that shows you can take an initiative. Jobs you have done on pro-bono basis can also be included. In choosing the insurance company of your choice, be careful to research the reputation of the company. This is because working with the wrong firm can damage your reputation. To get started on your search, you can browse through a list of insurance firms based in Nigeria. Check out their ratings. The rating will enable you to screen out companies you should not work with. Once you have the list of companies, you should visit each site and collate the e-mail address or follow the instruction as written on their site. The agent can earn 30-90% of the premium paid in the first year. This value goes down to 3-10% of the premium in subsequent years. The first year premium is one catch that propels agents to capture new customers. Another thing is that they are sure of recurring income over the lifetime of their clients as long as the client continues to pay the premium. In order for one to operate in a state as an agent, you may be required to obtain a license. To get this license you may be required to go through 20-50 hrs. of training and for you to take a state licensed exam. These should be no deterrent since you are sure to gain much from the training. As an agent, you may be paid salary. This is, however, rare in the industry. You may, however, be given stipends to enable you fend for yourself. Insurance salesmen can also provide financial advice. They can charge clients a percentage on the advice if they are able to solve the needed problem. Brokers earn money from payment insurance companies pay them. The charge paid to them is dependent on the type of coverage. 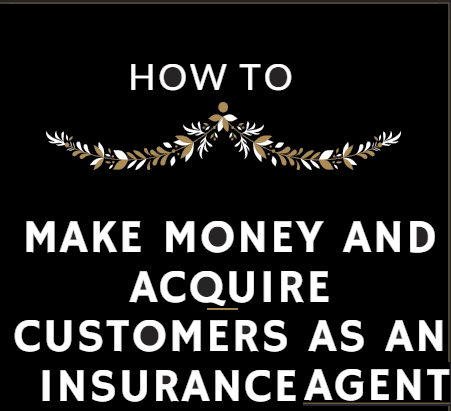 In order to double profit, insurance agents can also act as brokers. This way they will earn income from being brokers and also from being agents. Many insurance agents double as insurance brokers and vice versa. This is a smart move to help them make as much as possible profits from both aspects of the insurance intermediary business. I mentioned the need for you to do research before joining any company. This is important so as to protect your integrity. Also, most insurance companies will expect you to market to your friends, families, and former colleagues. Understand that you should be careful of going down this route as you could spoil a lot relationship.